Hard to believe this book was so popular when published in 1948. Merton sounds like a man from a different century, if not a different planet. His generation may have been the last to routinely learn Latin. He touched all the best his world had to offer in Cambridge, Columbia and the fleshpots of New York City and, while still relatively young, he left it–converted to Catholicism and became a Trappist monk. Competent fantasy series opener. Ensemble cast of introduces themselves by their choices. 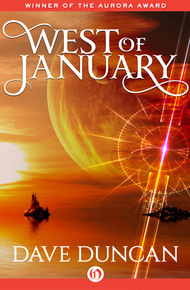 Engaging people and plot in an adventure road trip by water on the greatest ship in the world. The concept of waking is well-developed, and a fresh way to introduce sentient beings in “lesser” animals. Excellent. Buck delves deep into the thoughts and emotions of the title character and those closest to her. Unlike typical novels, the reader is immersed in the flow of hopes and uncertainty of all the principal cast. 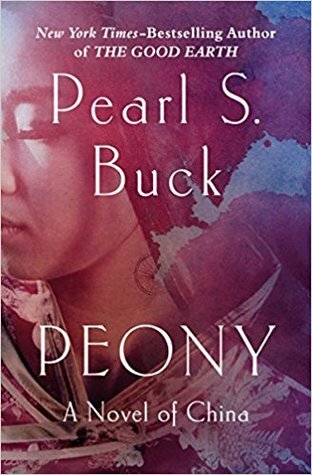 Based on history, Buck explores the assimilation of Jewish communities which had existed for hundreds of years in China. As good as Kearne’s Iron Druid series, but needs polishing. I stopped and started reading it several times as the fractured storytelling, while innovative, broke the rhythm. Too many main characters, too many countries and cultures, too little continuity. (A more readable map may have helped, but the ebook map was unreadable.) Everyone sounded the same, despite a maze of cultural details meant to differentiate. In a word: boring. Wells hits another home run. She hones the voice and character of her snarky rogue security unit, the titular murderbot. This plot is convoluted enough that any comments risks being a spoiler, so I won’t. Love the cover art. The stories are standalones but there is a background story arch which makes more sense if the stories are read in order. This is weird. I liked this story: a contemporary post-apocalyptic female hero’s journey. Good premise; engaging protagonist. I started this review intending to give it four stars, but as I wrote I realized it made no impression on me. Normally I record quotes as I read, to give readers of my reviews a sense of the writing style of the author. I got to the end of The Road and discovered I’d written nothing. Broncucia writes well; her writing just didn’t move me. In fact, I paused several times while reading it, uncertain whether I wanted to finish it. Loses one star for the obviously-driven-by-sequel-concerns afterword tacked on the end. It was hokey and added nothing to this story. Other than that, a good first novel. Another retrospective on a childhood fantasy, in this case from the perspective of Winnie the Pooh’s friend, Christopher Robin, grown, married, a father, and well into a mid-life crisis. Apt to be enjoyed by adults more than children. Unlike the Calvin and Hobbs approach, other people see and hear Christopher’s moving and talking. Piglet and Eeyore are perfect; Pooh and Tigger less so. Nice. Very short: very focused; very powerful. Hard science fiction, but even firmer grasp on the emotions of being alone, unarmed, and … scared to death. Find it on tor.com. Enjoy. Nice artwork by Jun Cen, though the phase of the moon and the earth don’t match as they should.